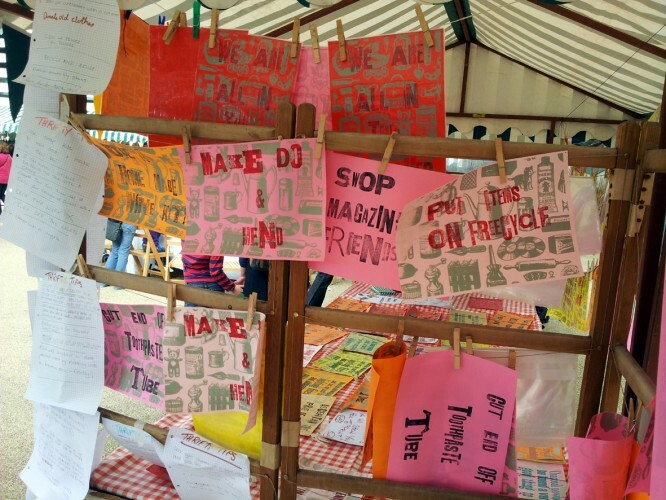 Theresa Easton is a visual artist based in Newcastle-upon-Tyne, specialising in a range of traditional printmaking processes used to realise her community based projects and bespoke exhibitions. Saturday 21& Sunday 22 September 2013 Festival of Thrift, Lingfield Point, Darlington. 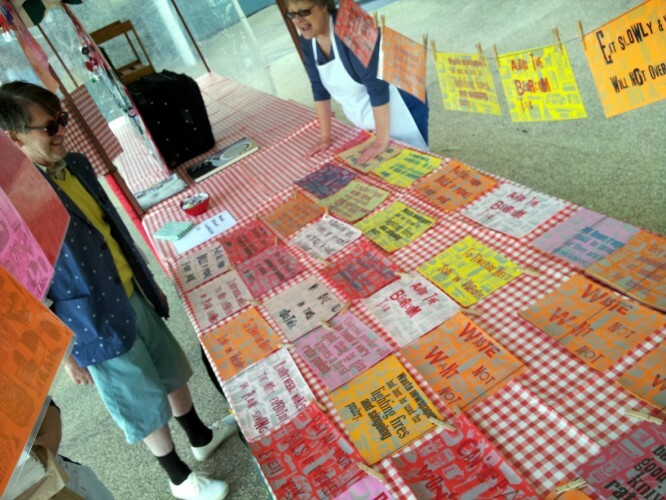 Theresa Easton & Kay Henderson presented visitors with a selection of hand printed broadsides, specially commissioned for the Festival of Thrift intended to captivate the audience in discussion. In addition to connecting with regional and national creative practitioners in an exciting and vibrant location, both artists were able to develop their professional practice and expand their employment opportunities. Thrifty Tips book, produced and self- published as a result of the commission is currently on tour in an exhibition in Russia. 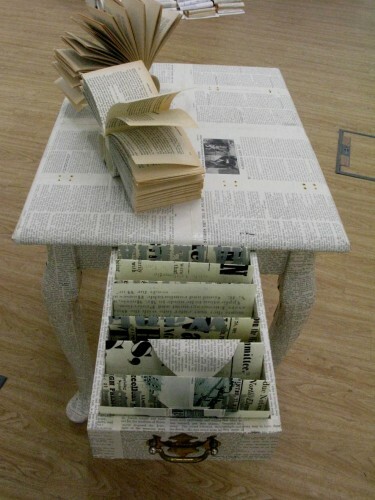 Theresa Easton exhibited alongside Yvette Hawkins and Dawn Felicia Knox in an exhibition entitled The Book Borrowers. 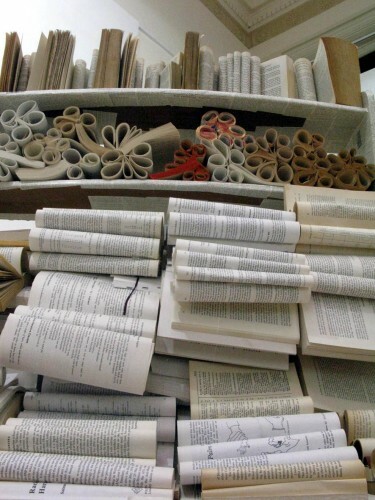 Crown Street Gallery provided an opportunity for Theresa Easton to exhibit artist’s book based work and benefit directly from the environment of the library, capitalising on the visitor numbers and footfall.